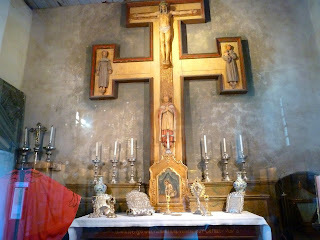 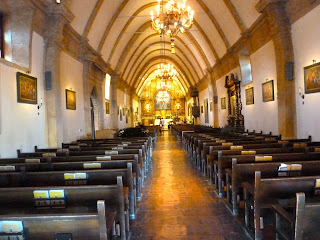 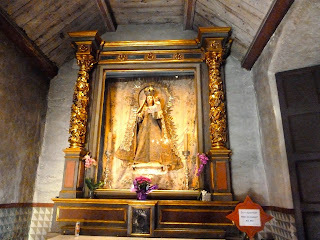 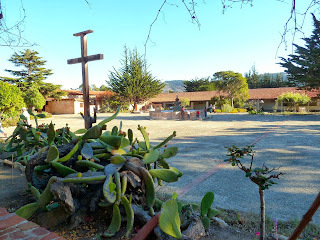 Today we drove the 17 Mile famous Pebble Beach Drive and visited our last Mission,San Carlos Borromeo del Rio Carmelo. The fee for the drive is $9.45 and if you shop or dine on the route, this amount will be deducted from your tab by presenting the receipt. 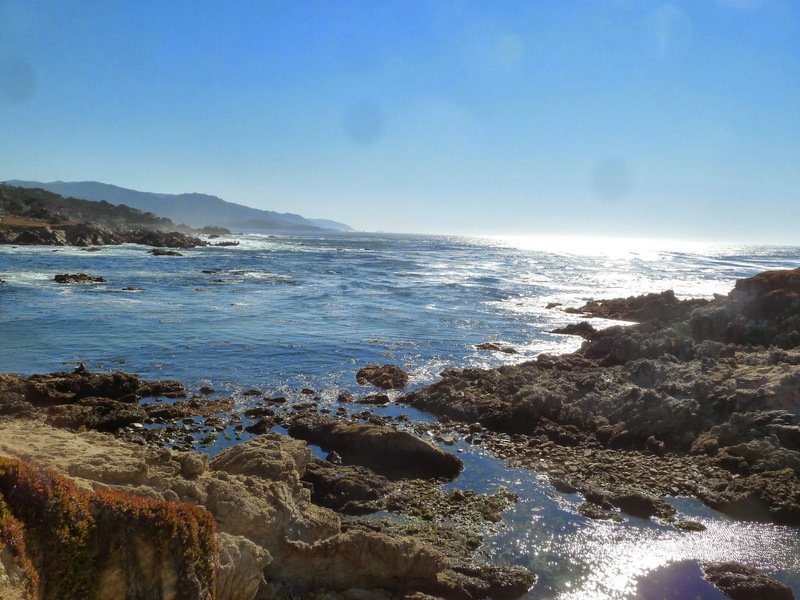 The drive takes you through the Del Monte Forest and along the beautiful and dramatic Pacific coast. There are some 20 stops and vista points, picnic areas, beaches and mega homes on the route. 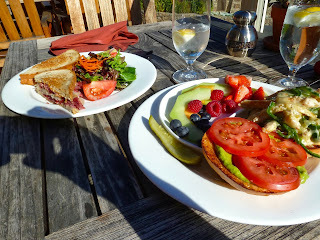 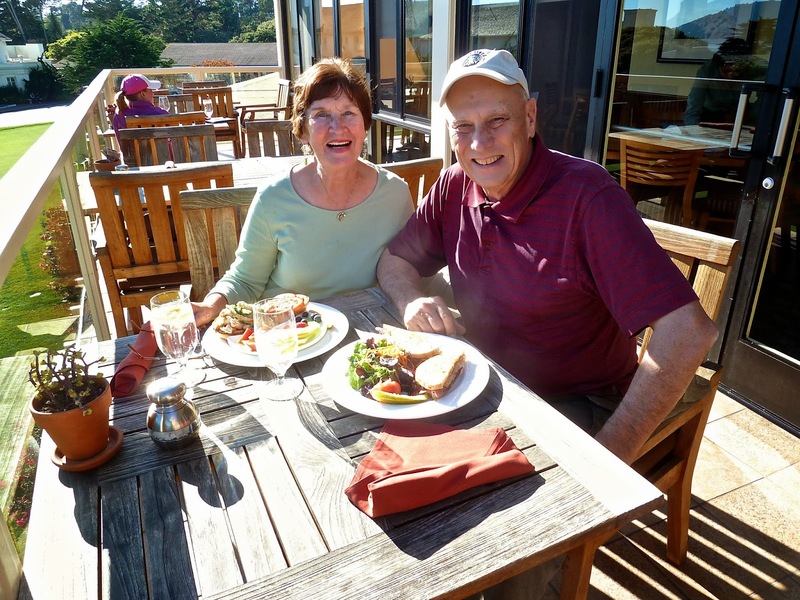 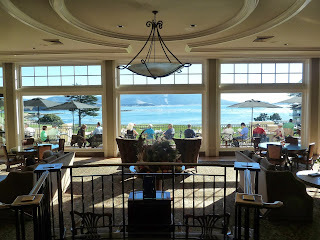 We opted to have lunch at the Pebble Beach Gallery Cafe and a good choice. 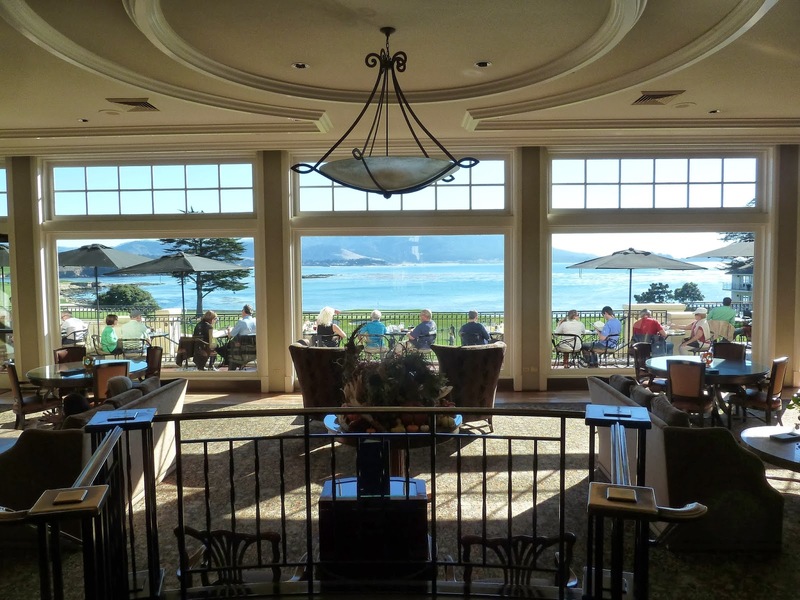 Be sure and take the path to the 18th hole in front of the lodge for a magnificent view of the ocean and lodge. 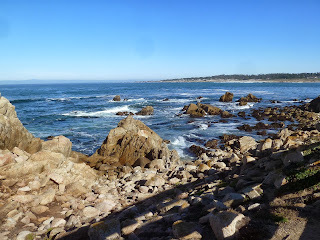 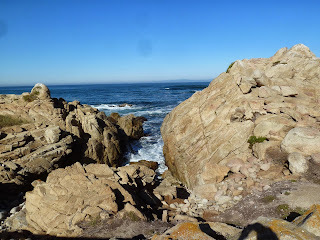 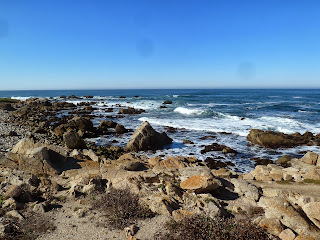 We entered at the Hwy 1 Gate and drove to the Carmel gate. 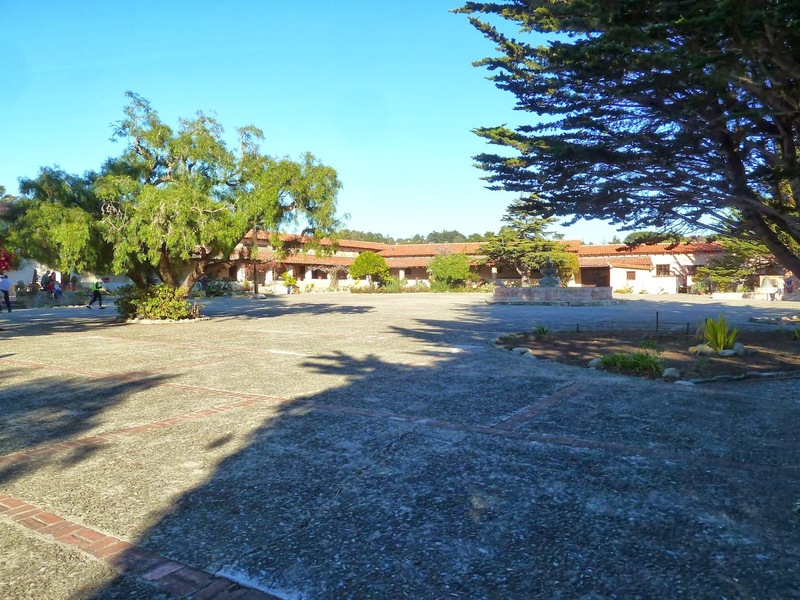 1880 Horse drawn carriages carried tourists from the then Hotel del Monte (now the sight of the Naval Postgraduate School). 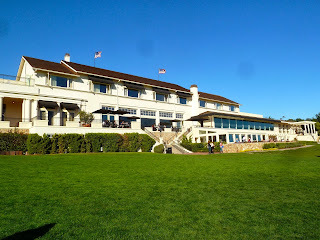 1919 The golf club and lodge opens to the public. 1929 The first national golf tournament is held. 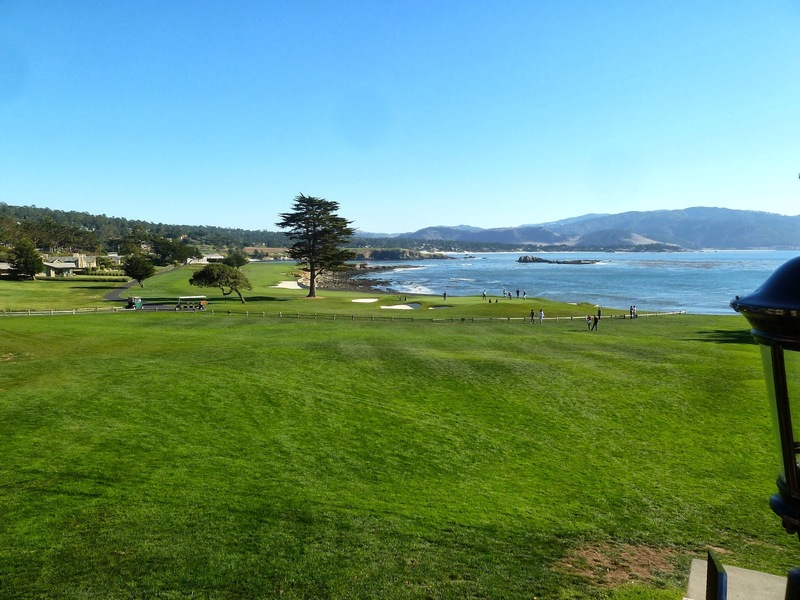 1972 First US Open is held. Today there are 5 golf courses in Pebble Beach. 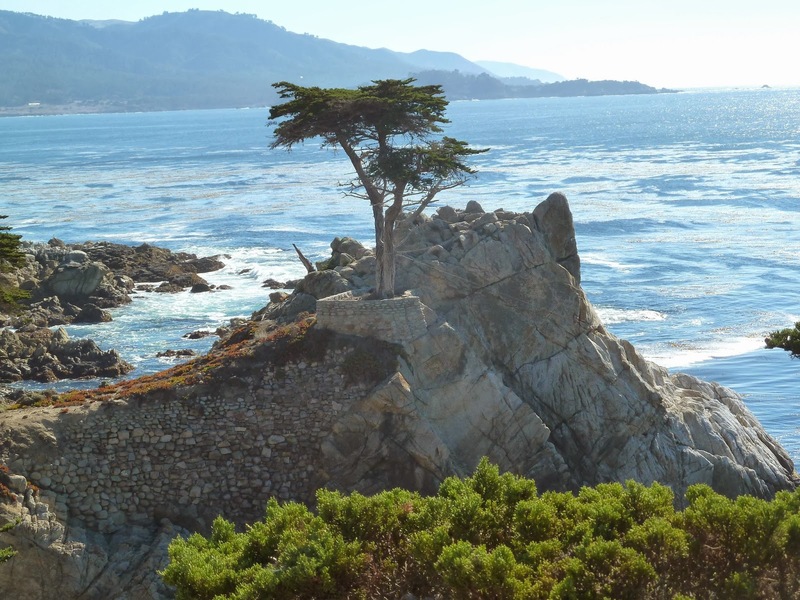 Pebble Beach Company is focused on preserving the environment and stewardship of natural ecosphere. 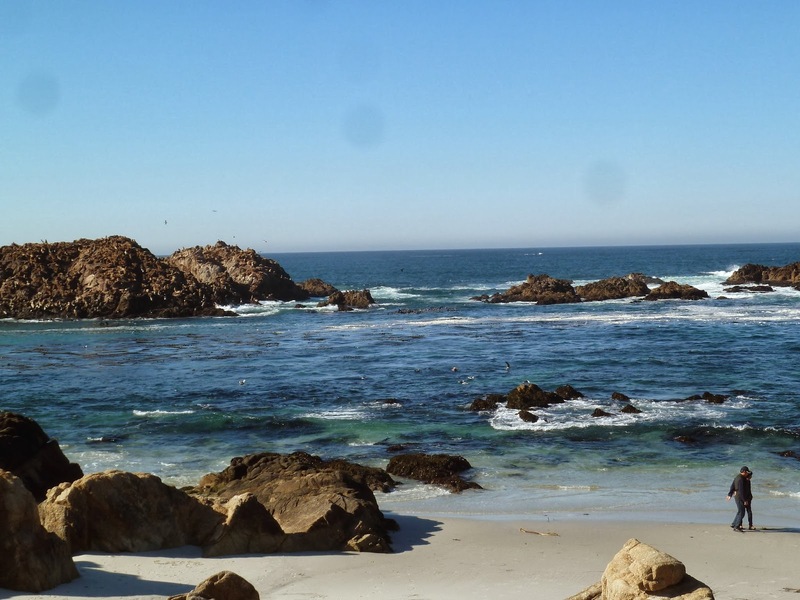 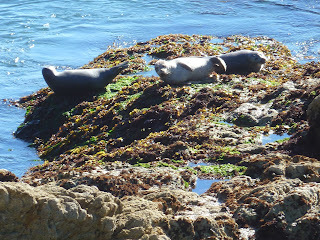 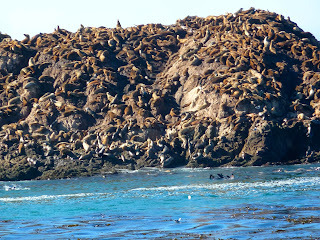 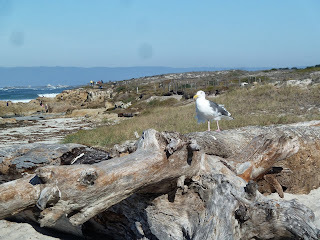 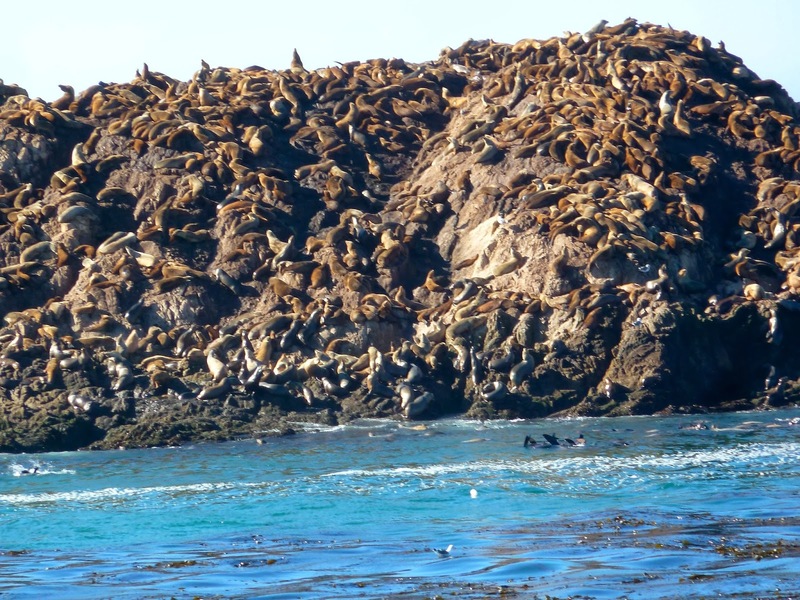 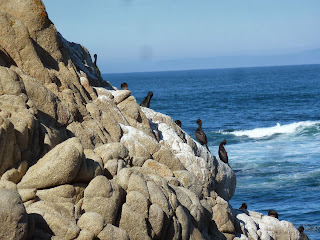 Bird Rock is home to countless shorebirds,harbor seals and sea lions. 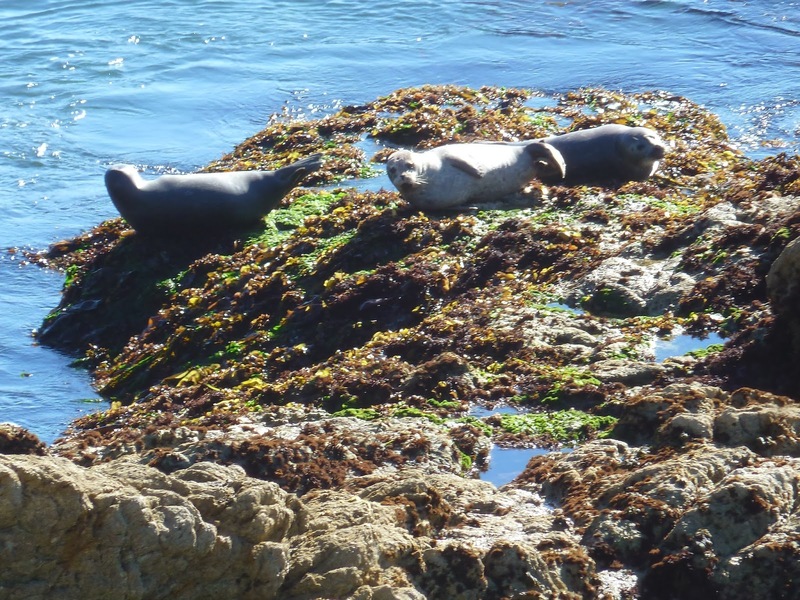 Several of the beaches are closed during the harbor seal pupping season from 1 April to 1 May. 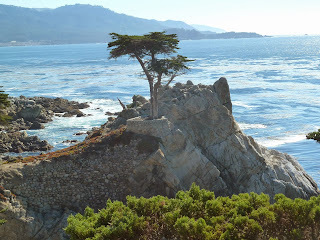 At the Lone Cypress vista you view the 250 year old tree that has perched here and is the symbol of the Pebble Beach Company. This is truly a must drive when visiting the area. 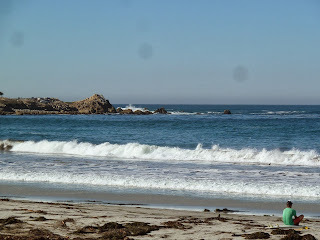 Realized my lens had smudges..no it is not alien ships. 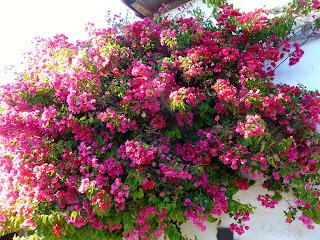 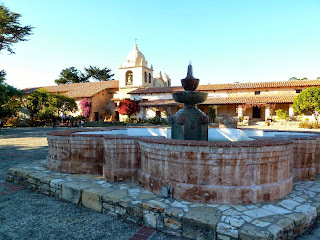 Mission San Carlos Borromeo de Carmelo is the second of the missions founded by Father Serra in 1770. 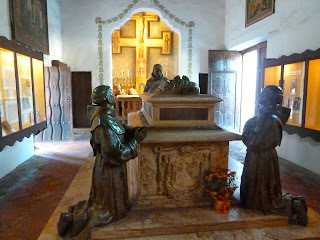 It was here that he died in 1774 and is buried beneath the altar. 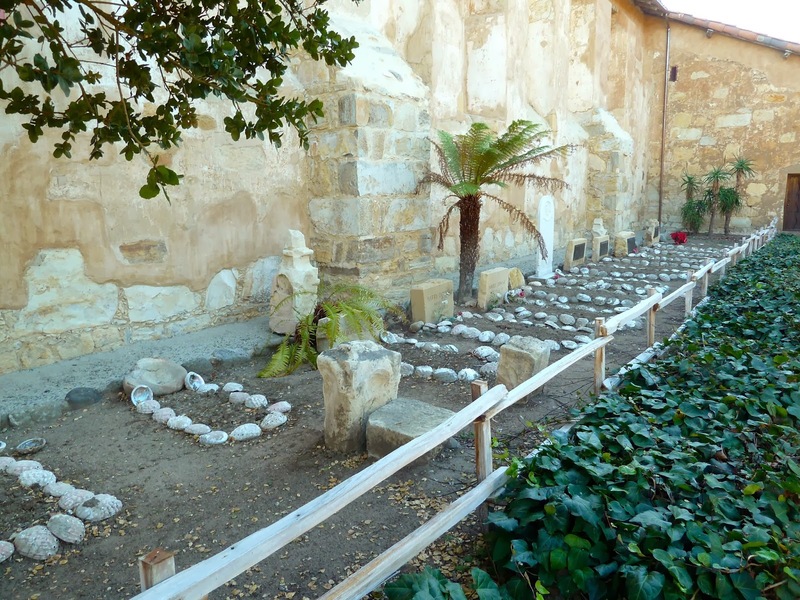 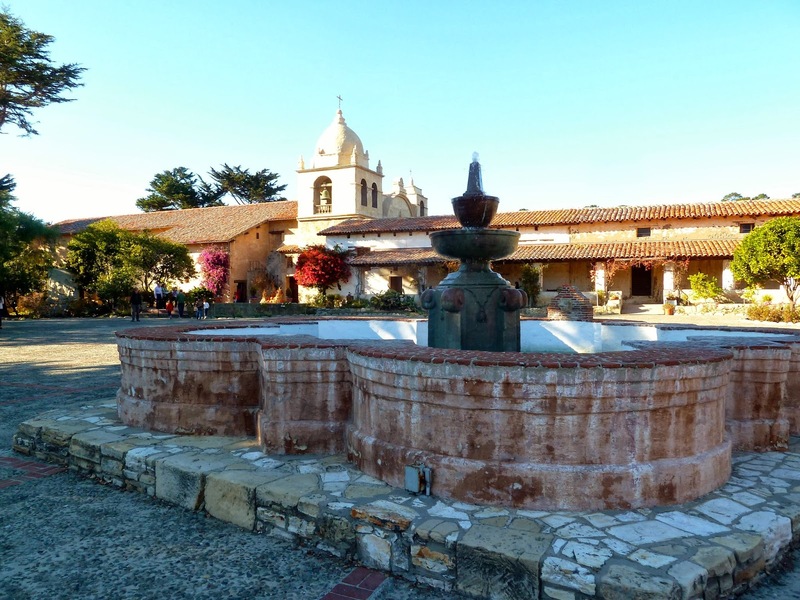 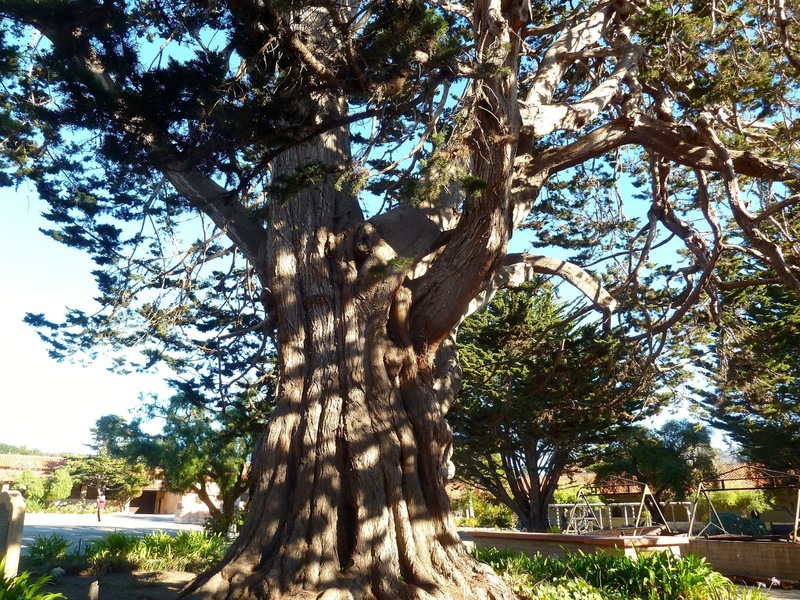 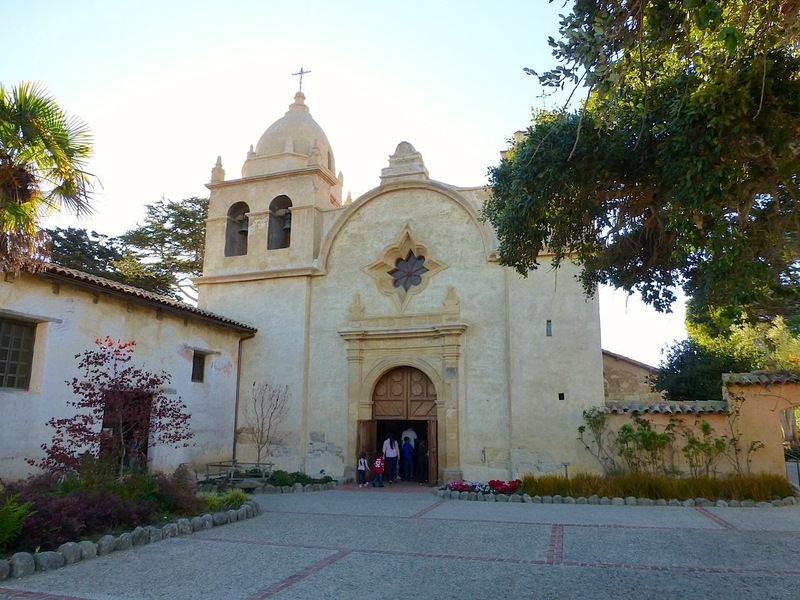 The mission was originally located in the Presidio of Monterey and moved to its present location in Carmel. After the secularization the mission stood in decay and roofless for 30 years. 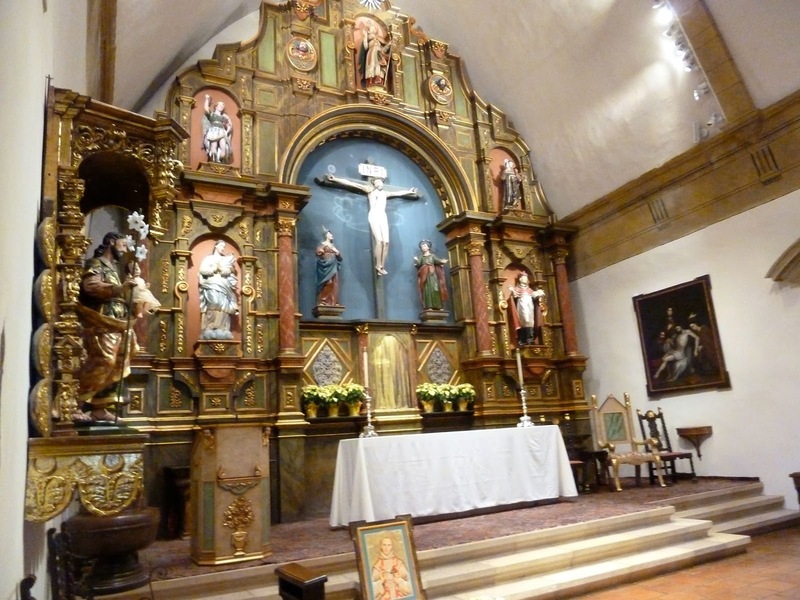 In 1884 the church was restored and later in 1930, a full restoration was undertaken. It remains a very active parish and school. 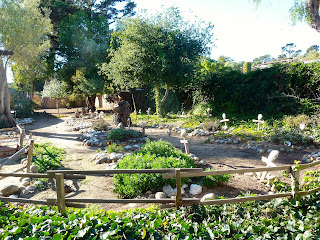 The Indians who joined the Mission provided labor for farming and construction. Over 4,000 were baptized here. 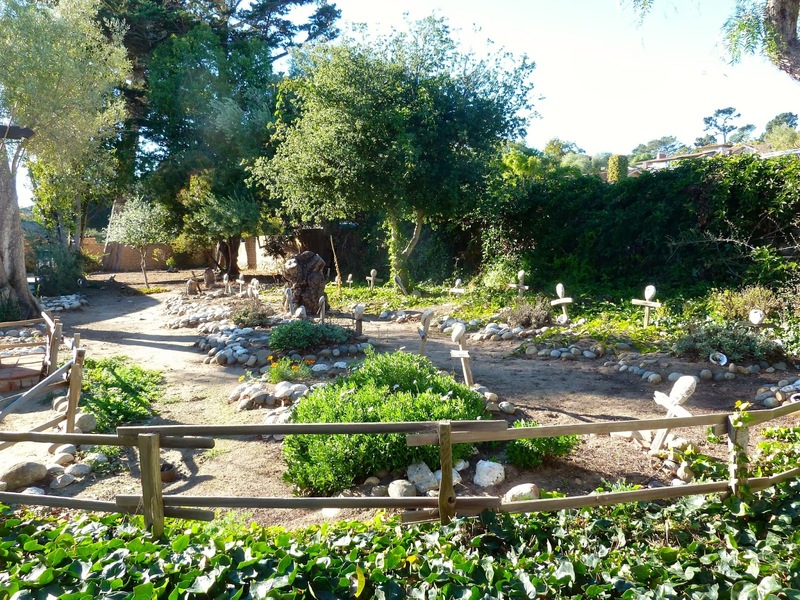 By the year 1823 the Indian population had dwindled to 381 due mainly to disease brought by Europeans.